Blog #Wizkid Fails to Perform at #Coachella Again - Overwhelmed Artist, Incompetent Management or a Reflection of the True State of the Nigerian Music Industry? 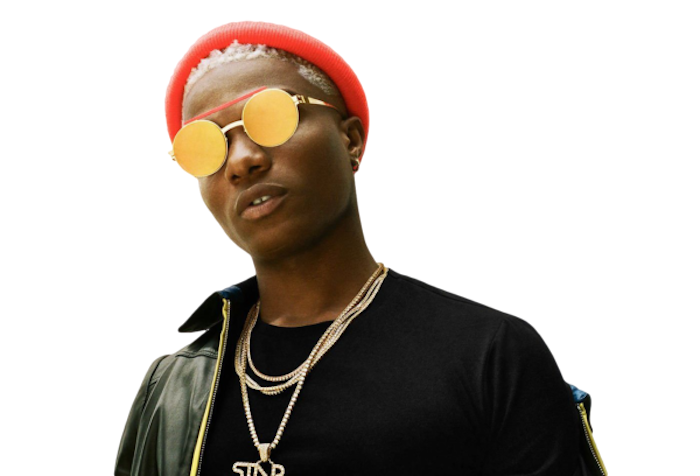 #Wizkid Fails to Perform at #Coachella Again – Overwhelmed Artist, Incompetent Management or a Reflection of the True State of the Nigerian Music Industry? As we all know by now, Wizkid was scheduled to perform on the main stage at the prestigious Coachella festival on April 14 and April 21, 2018, in Southern California, near Los Angeles. On April 14, 2018, he was a no-show and tweeted to the public via Twitter, less than 24 hours before his performance, that his band’s visa issues were the reason for his cancellation. Coachella organizers and Wizkid, however, promised a performance on Saturday, April 21, 2018, this past weekend. However, prior to his performance media reports claimed that fans sighted him at a local club in Nigeria less than 24 hours before his scheduled performance on April 21, 2018, in California. A one-way travel from Lagos to California is easily a 16-hour flight. So, if Wizkid had not boarded a plane as of the night of Thursday, April 19, 2018, to California, the probability was that fans and media reports were correct that he most likely would not perform. Nevertheless, magic does happen, not so? And Wizkid and Coachella organizers did promise fans that he would perform on Saturday, April 21, 2018. So, despite the reports, fans were hopeful. April 21st, 2018, rolled by, and Wizkid was, again, nowhere to be found. In addition, his name which had previously been on the Coachella website was completely absent. Further, neither Wizkid nor his management team bothered to explain to his fans why he was a no-show and his concert was cancelled, again. It’s as if his name was never affiliated with Coachella, and he was never marketed and promoted as one of the selected top artists to perform at one of the biggest global musical festivals. Continued band visa issues? Didn’t they clear it up before Wizkid and Coachella made promises to fans? Given this second and even more embarrassing cancellation, I think it is only fitting we take a moment to pause and ask some tough questions about Wizkid and Nigeria’s music industry. Are Wizkid’s actions a reflection of an artist who is overwhelmed and drug addicted? Or, is it a reflection of the true state of Nigeria’s music industry? 1.We have an industry that is very much about “every man for himself ” mentality. Literally, when you look at the industry, it’s hard to see truly collaborative efforts and partnerships. A utilitarian approach that would serve all, in the long run, is simply out of the question. We thrive on outshining each other. 2. We don’t seem to understand the concept of building a strong pipeline of future stars that can compete globally. Many of our artists that are on the global stage, Wizkid included, did not get there from the collective efforts of our music industry supporting and lifting them up. They got there from their solo efforts (i.e. as indie label owners) or solo investors investing in them, their fans, and them just figuring it out along the way. To the degree we claimed to “support” them, it came often with a heavy price tag, including the crippling and illegal practice of payola. It is no wonder when they get to the global stage, they hardly feel like they can reach out or fall back to industry stakeholders to help guide them in the new direction of their careers. 3.We have an industry where artists simply do not honor their recording contracts. There are countless examples but the most recent is Runtown. Runtown signed a recording contract, received a large advance and somehow he wants to avoid giving his investor, Eric Many Ltd., a true return on investment. Eric Many Ltd. has had to sue him, thrice now, to force him to fulfill his end of the bargain. What’s interesting is that artists like Runtown are turning into thugs, literally. Runtown, a few days ago, claimed his label owner attempted to kill him and that as a result, the label boss was allegedly arrested. The label boss denies he was arrested. But what’s interesting is that the same artist who made the aforementioned allegations, goes on social media to intimidate, threaten and boast about how he connived with the label’s staff to set the label owner up to be arrested by the police, and he made more threats against the label owner. Incredible. 4. Our artists, including the few superstars, have unaddressed mental health and drug addiction issues that we all continue to ignore. Wizkid, in my view, is an example. I don’t know how much louder Wizkid has to get before we realize he has an addiction problem. Wizkid has made clear he is addicted to the drug marijuana. He is a self-proclaimed weed head. Regardless of how we may feel about cannabis (i.e. some support it, some don’t) when an artist starts missing the number of shows Wizkid has missed in the last two years alone, especially on a global stage, it’s a problem. These are all signs and red flags to pay attention to. Also, given marijuana is a gateway drug, it will be no surprise if he may have graduated to the use of other illicit drugs. First, I believe that the Nigerian Copyright Commission, with the power vested in it to regulate COSON, should dissolve the first board which includes Efe Omoregbe, Audu Maikori, and Obi Asika. In 2012, I recall reporting here on AML that these men had been selected to the board. They were all label owners with the exception of Efe who owned a management company NOW Muzik. However, in July 2016, the nature of their relationship changed. All three joined forces to form a music publishing group called 5ive Music, with a large catalog of musical works of their various musicians (songwriters and composers). As you all know or should know by now, performance royalties are a major source of revenue for songwriters and publishers in many countries around the globe. While Nigeria hasn’t always had its publishing royalties together, for the past five years it has made some significant strides through COSON. Music publishers typically affiliate with a collecting society to ensure when the songs of their composers/songwriters are used commercially, these musicians get paid. They also help monitor where the compositions are used and pitch them to recording artists, production companies (TV/Film) etc. Given this reality, among other factors, I find it odd that almost all co-founders of 5ive Music Publishing are members of the COSON board. I believe all men being on the board, at the same time, creates a monopoly and unfair advantage over other music publishers and leaves 5 Music publishers having a tight grip on the publishing moneybag in the industry. This, to me, creates a very obvious conflict of interest. Even if they all claim they can objectively, as board members, execute their jobs/roles, including approval of competitor publishers as affiliates of COSON, the appearance of impropriety is still enough grounds to remove these men from the board, in my view. One member of 5ive Music Publishing can be on the board, but all three or four (if Paul Ukeogo is part of the board) is simply unacceptable. So, on those grounds alone, I would say the NCC should dissolve the board that Efe Omoregbe is fighting to keep. When we add Okoroji into the mix, then I say the board must still definitely be dissolved. I have voiced concerns about Okoroji’s spending for COSON Music Week in prior posts on this blog. Further, I find it perplexing that Okoroji as the leader of COSON thought it was okay to have almost all co-founders of 5ive Music Publishing on the board, all at once. Again, the interest of the artists and the sustainability of the industry comes first. This, to me, shows a lack of concern for ensuring there is no appearance of impropriety, among other things. Second, the newly constituted board by Tony Okoroji that claims to remove all the aforementioned gentlemen and have Kenny Ogungbe and his sister KSB on it should also be dissolved. It is nepotism at its finest and again deals with that appearance of impropriety I just discussed above. Further, per the NCC’s recently issued statement, the new board wasn’t properly constituted according to applicable regulations. By the way, wasn’t this the same Okoroji and Ogungbe who had a strong public exchange of words over Ogungbe claiming COSON owed him money in 2013? If they drew battle lines then, what happens in future when there is a dispute on the direction of COSON under Okoroji’s leadership? It’s a red flag when the same board that has been anything but a fan of Ogungbe all of a sudden has Ogungbe and his sister as members of the COSON board. 6. Back to the matter i.e. Wizkid. Wizkid and the way he handled Coachella, in my view, is a reflection of the current reality of the Nigerian music industry. We can’t claim him only when he is on his best behavior. We have an industry that is deeply fragmented. Everyone wants to be a label owner but no one knows how to lead. Also, often, the line between professional and personal is often blurred. If you are family or friends, you are expected to do business with no structure whatsoever and accountability. If you are a man doing business with a woman, it is expected that relationship will somehow become romantic and again the lines get blurred. For example, wasn’t Jada Pollock hired as Wizkid’s manager? Now the two are parents to an infant child, Wizkid’s third child. Fine if you as a manager decide to jump into bed with the artist you manage. But, you’ve got to attend to the business at hand. The romantic situation between Wizkid and Pollock seems to have interfered with Pollock’s ability to direct her client. She is nowhere to be found to explain her client’s lack of respect and explanation to his fans for his absence at Coachella, twice! Has she abdicated her position as manager because she has Wizkid’s child, or does he no longer respect her voice to listen to her about how he ought to manage his brand because he is her “baby daddy”? At this point, it’s not even about the no-show at Coachella, although that is a very big deal. It’s about how it has been handled by Wizkid, his manager Pollock and the rest of his team, and even Coachella. It’s about ensuring Wizkid does not ruin the opportunities for other future artists: Nigerians and other Africans. It’s about getting candid as an industry and asking the tough questions. All of these questions are important and if we can’t begin answering them, we have a problem. We are busy telling every multinational to come to Nigeria and do business, and guess what, they are now coming. Our telecommunications companies are owned by Indians, Asians and South Africans and they are cashing in on terrible licensing deals we broker that leave rights holders with a tiny percentage off their own creativity. Western labels like Sony, Universal, and Roc Nation are also now hanging out in Nigeria. They are hiring our people with the overseas education who seem to view solutions to Nigeria and Africa’s problems through western lenses. These men like Michael Ugwu are brokering deals with the telecommunications companies that further expand the international music catalogs of the likes of Sony. Where are our artists in the mix Michael? All this hard work just so Sony can link up with MTN+ to expand Sony’s international catalog? Really, Michael? So what happens when Nigerian youths return to only favoring or having an interest in western music like they did in the 80s, 90s, and early 2000s? What happens when the telecommunications companies decide they better invest somewhere else? Anyone remember when Nollywood and its celebs enjoyed all the endorsement deals, sponsorships et al.? Will we have an industry? I doubt it. Our artists will get no money from music publishing because COSON can’t get its act together. And please don’t point to MCSN. That long battle between NCC, COSON, and MCSN gives many, myself included, headaches. Our artists will get no money from sales of recorded music because they historically haven’t and digital streaming revenue seems to benefit the likes of Sony international and Universal artists more than it does our local artists. Our artists will get minimal income from live entertainment, if at all, because of bad deals and a reduced interest in corporate bodies retaining their services for live performances. I am particularly elated that you have written a foresight script with indepth analysis of the Nigerian music entertainment industry. We as a company (Premier Records Limited) have been shouting at the top of our voice nobody cared to understand or hear us. I am personally circulating this to my fellow members in the music industry, maybe they will finally understand. I will also like to clear the notion that artistes do not get paid for sales of their works in Nigeria. Premier records Limited still pays royalties from sales and exploitation of works from our large catalog. As long as the works are selling, artistes get paid their royalties, even when the artiste is no more, the estate of the artiste still gets paid as long as there is a valid letter of administration from a reputable court of law. Uduak, I thank you once again and hope this will serve as a clarion call to us. Always on point as usual.